TrustPort Internet Security is an effective total protection of computer and data at all entry points against malicious software and online threats. The program detects viruses and spyware at all entry points to the computer and prevents attempts by hackers to access the computer. It enables not only the continuous monitoring of files being opened but at the same time also scans files from incoming electronic mail or downloaded from the web. TrustPort secures your computer from viruses, spyware, and other malicious software. Running automatically in the system background, it requires no expert knowledge from you. 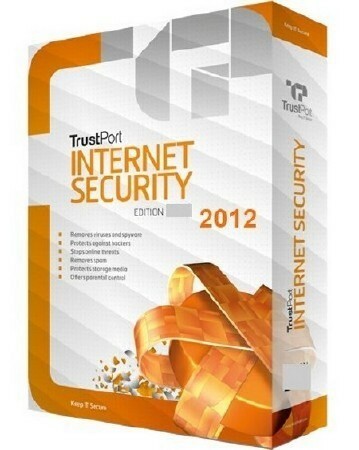 Thanks to regular updates, TrustPort products are always ready to block the latest threats. TrustPort uses antivirus technology that has won awards in prestigious benchmarking tests. This technology shows one of the highest malware detection results in the world, nearing the magical boundary of one hundred percent. توافق البرنامج : Windows 2000 (32 bit), Windows XP (32 bit, 64 bit), Windows Vista (32 bit, 64 bit), Windows 7 (32 bit, 64 bit).